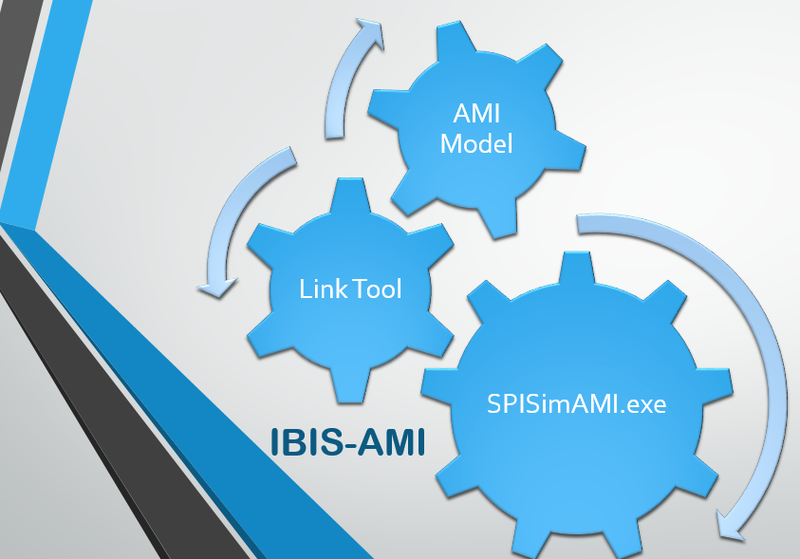 SPISimAMI.exe: An IBIS-AMI model driver, tester and publishing tool. Decouple AMI models from specific vendor tool for testing, development and publishing needs. For AMI model user: use this tool to test drive models at hand without 3rd party tool. For AMI model developer: use this tool to load the model under development in the debugger/IDE without occupying 3rd party link tool’s license. For AMI model publisher: use this tool to exchange model’s input/output response with clients for debugging and maintenance purpose without being tied to a particular EDA vendor’s solution. Pre-compiled binaries supporting Win 32, Win 64, Linux 32 and Linux 64 platforms. Free to download, free to use and will not expire. Has built-in rise, fall and pulse response to drive and test compiled AMI model. User can provide custom input in csv, tr0 or raw format to drive the AMI model. Model’s response will be captured and saved as .csv and .raw format. Model’s API capability will be tested and reported as plain text messages. Support latest IBIS-AMI spec., including AMI_Resolve and AMI_Resolve_Close. Watch the demo video below then download to give it a try.